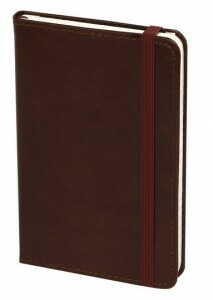 A journal is a fantastic way to capture forever, great ideas that you see, hear, read or experience. This is important because neuroscientists have long know there is a connection between the hand and the brain – specifically, hand writing notes while you’re reading increases your comprehension and recall. This happens for two reasons. First, writing is slower than reading which means you’re more focused on what you are doing or “saying to yourself” which directly engages your brain in learning and idea retention – have you ever noticed when you’re reading how your mind can wander such that you get to the end of a paragraph or page and can’t recall anything you’ve read? Because our brain can’t multitask, that’s not possible when you are writing. Second, the physical act of writing a character involves a sequence of strokes to form a letter which fMRI studies have shown activates massive parts of the brain that involve thinking, language and working memory which is the system used to temporarily store and manage information and plays a huge role in cogitative development. That’s a fancy way of saying it exercises your brain muscle which is a use-it-or-lose-it organ. 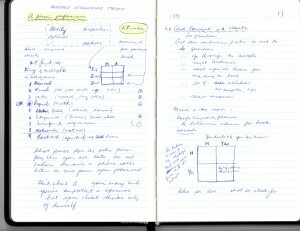 For many years I have used a journal as a complementary reading tool and have found it to be invaluable for capturing useful insights and concepts developed by other people but also for organizing my own thoughts and manipulating ideas. In addition, my hand written journals serve as a temporal record of my activities, observations, thoughts and reading material. You’ll even find the odd shopping list and “to-do list” in there. My journals are all 5×8” leather (or artificial leather) bound with about 120 pages – a total of 240 pages back to back. I prefer journals from C. R. Gibson – the Markings line – (www.crgibson.com ) or Moleskin (www.moleskin.com) – Moleskin journals are way more expensive than the Markings line so I don’t use them much now. Typically I will go through 2 to 3 each year. 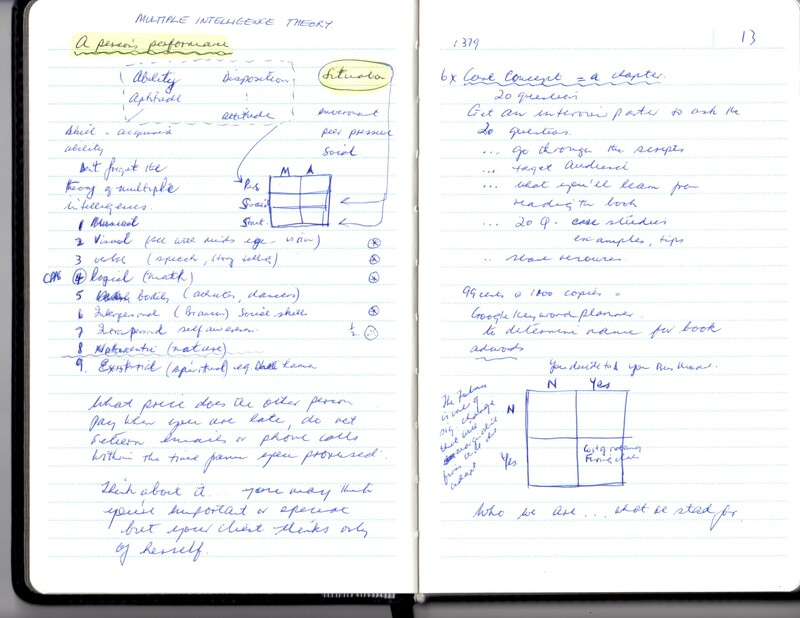 The above figure shows a typical page spread from my journal that has a bunch of random ideas jotted down or it may be a summary from something I’ve been reading – usually a combination of the two. I will always make a note of the source so I can follow up later if I want. I number the top right side facing page sequentially so that I can point back or forward to a related note in the journal – to reference the left side of the page I just assign an “a” to the reference so page 15a is the backside of page 15. It’s very simple and works perfectly. In addition to making notes about my thoughts and reading I also note dates and names and affiliations of people I meet or talk to, ideas that may have come from those exchanges. Naturally I also add contact details to my digital devices but my journal is the means by which I can mentally go back to the time of the note and recall discussions etc. This can make for fascinating reading years after the event and often serves to reinforce the fact that innocuous meetings often lead to significant personal and business development outcomes. I also use my journal to make notes of meetings I have attended and action commitments that may have come from that. 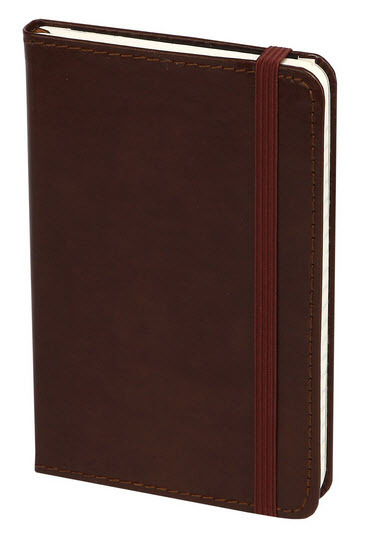 I should also point out that you will find the occasional shopping list and many to-do lists in my journal. In other words it’s a dumping ground for reminders as well as valuable re-useable information. I don’t use my journal as a record my daily life experiences. It is not a diary that I use as a record of my life and times although my journal is certainly a record of my mental wandering and how my thoughts have evolved over time.